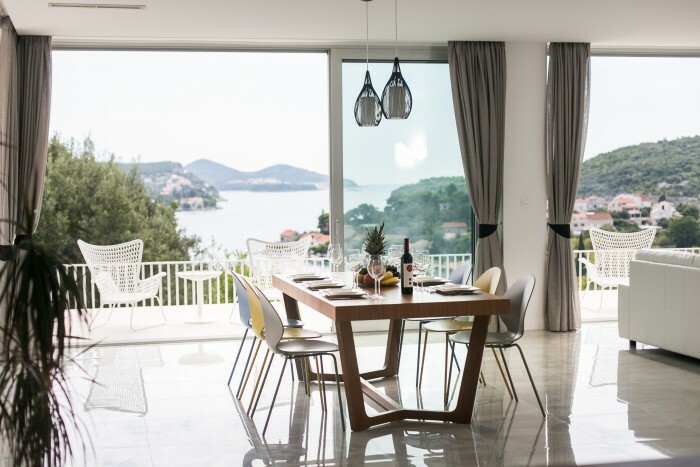 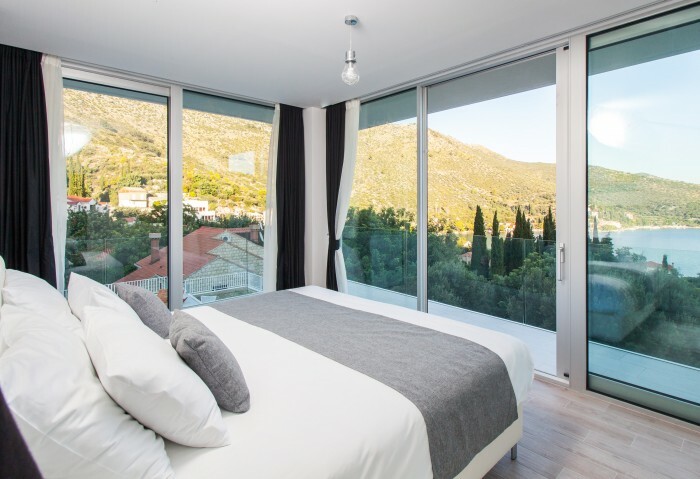 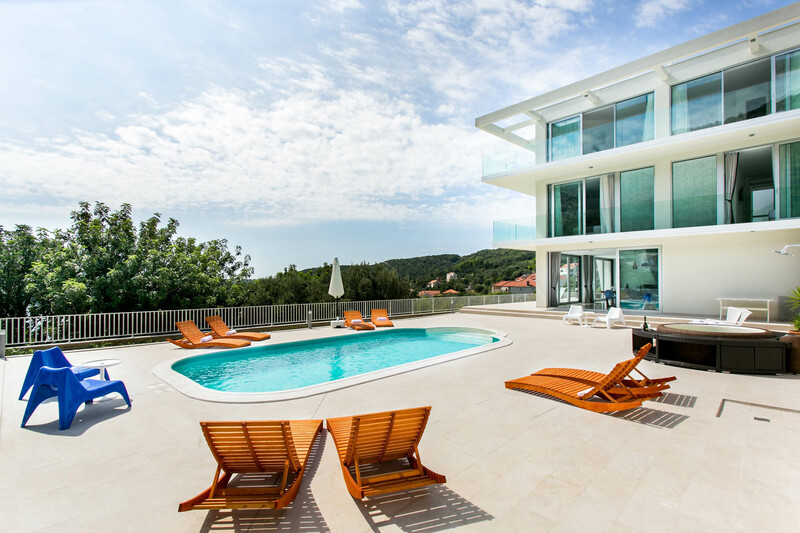 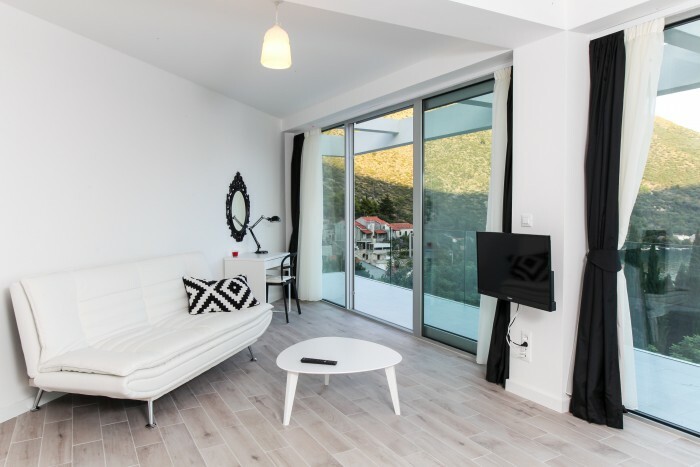 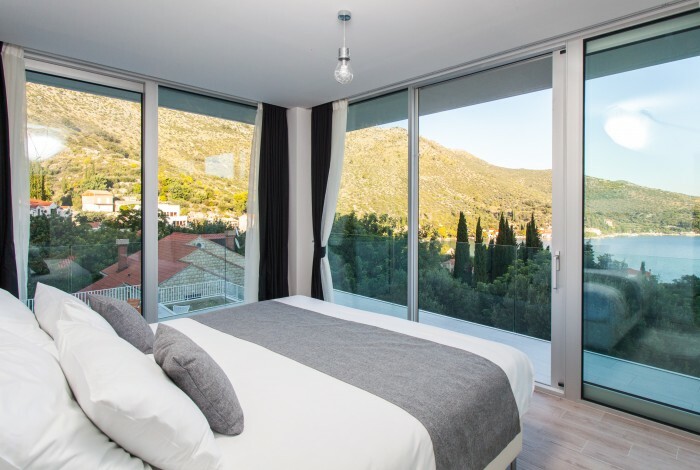 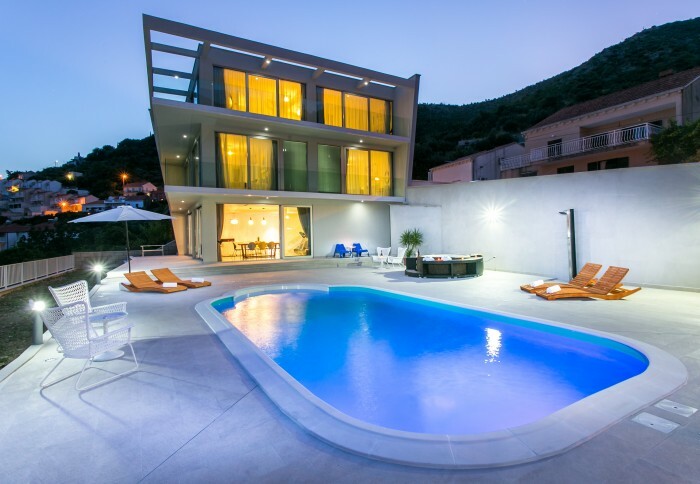 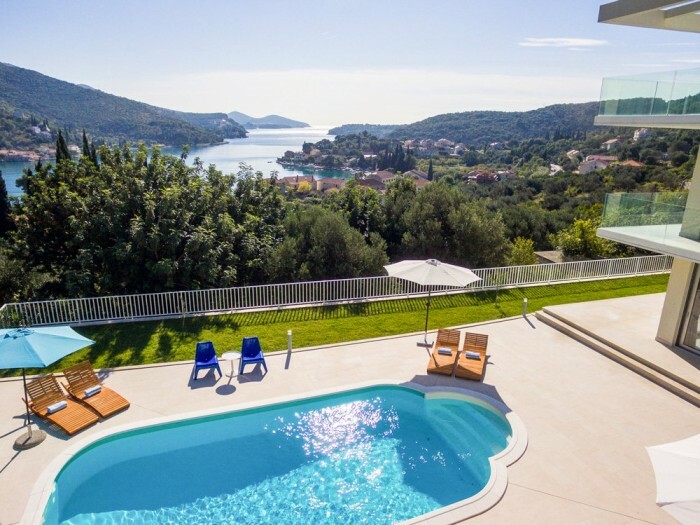 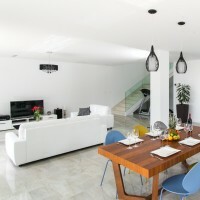 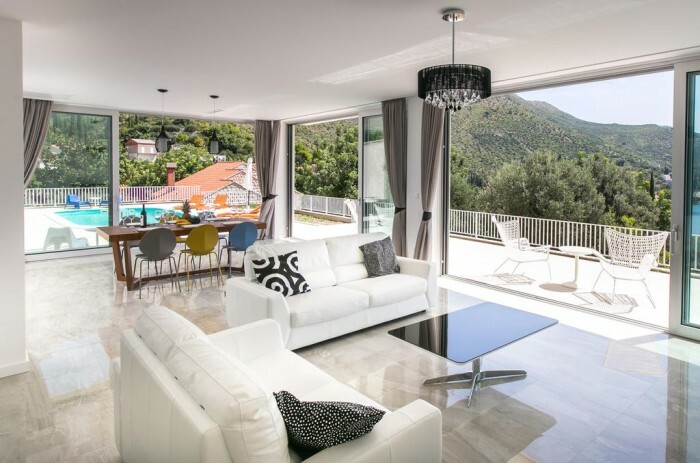 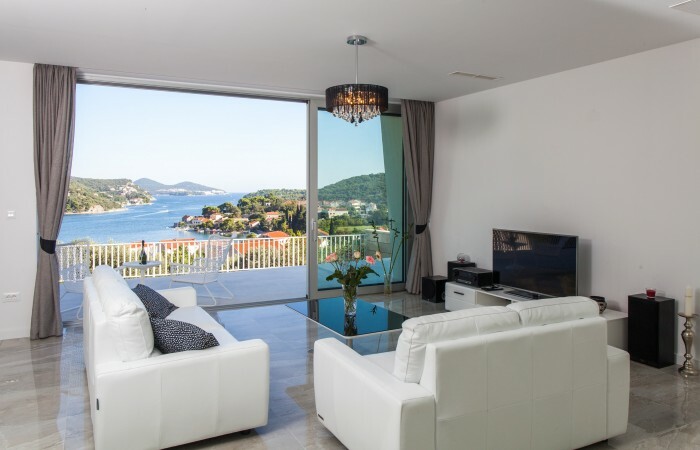 This stunning contemporary five bedroom Villa Art with private pool is located in the beautiful Zaton Bay, just 8km north from the historical city of Dubrovnik, a UNESCO World Heritage site. 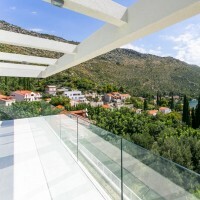 Situated in an elevated position, the villa enjoys breath-taking coastal views from all three floors and offers comfort, light and space to families or groups wanting a modern and elegant holiday villa.This elevation comes with two major benefits: magnificent, panoramic sea views and a constant gentle breeze that brings welcome relief on hot summer days. 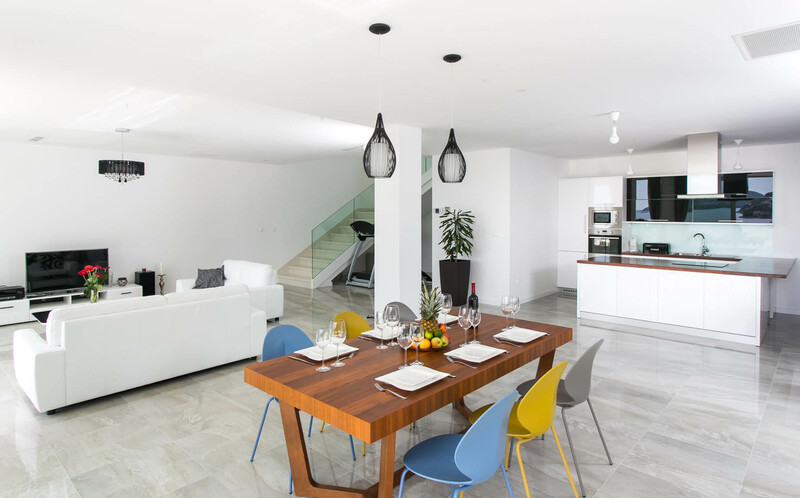 The bright and spacious living-dining room has large panoramic doors which open to a beautiful poolside terrace with wonderful views of the bay and turquoise sea. 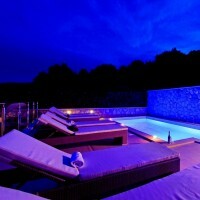 You can choose to dip in the inviting swimming pool, laze in the glorious jacuzzi or simply bask in the sunshine. 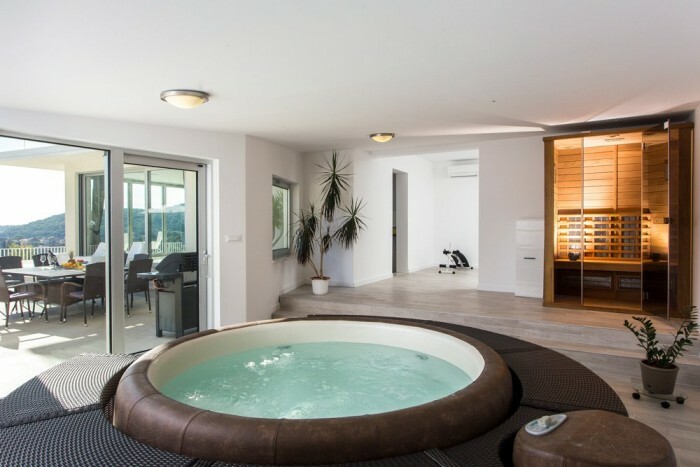 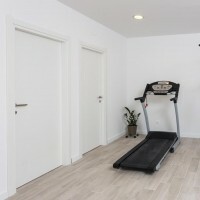 Those with more energy can make great use of the gym room and there is also a sauna available for guests to use. 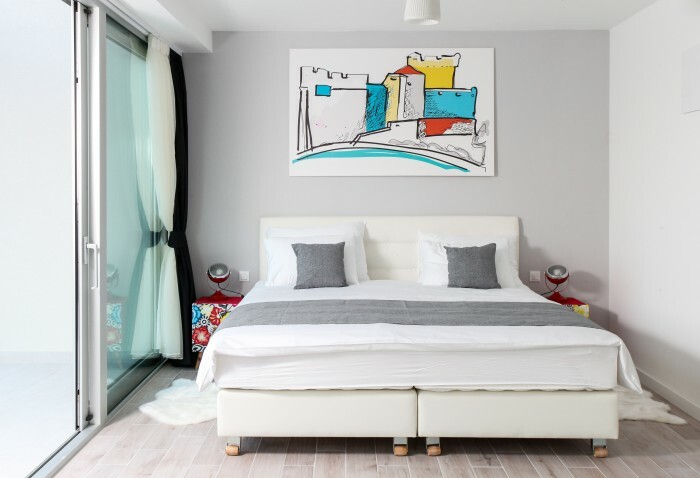 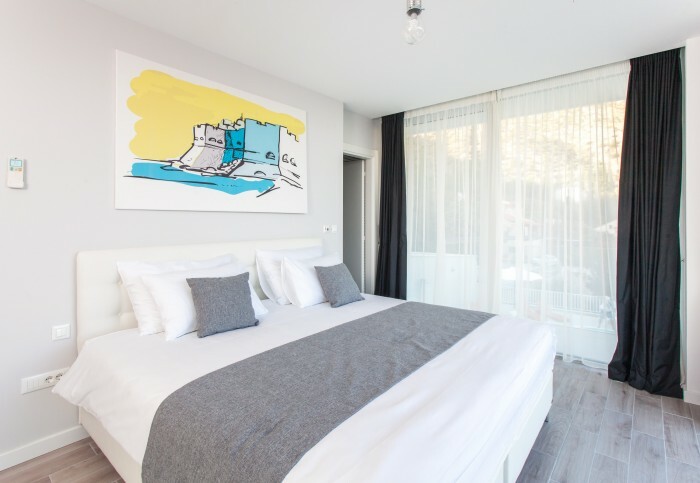 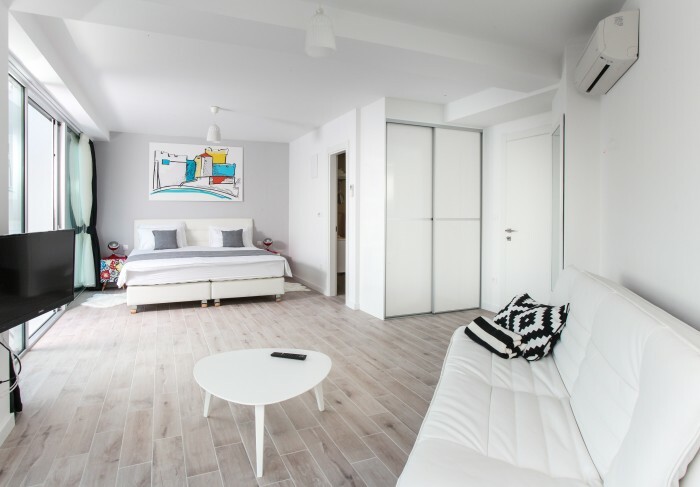 The bedrooms have been decorated and furnished with simple elegance with splashes of contemporary colour throughout to give you a clean yet vibrant feel. 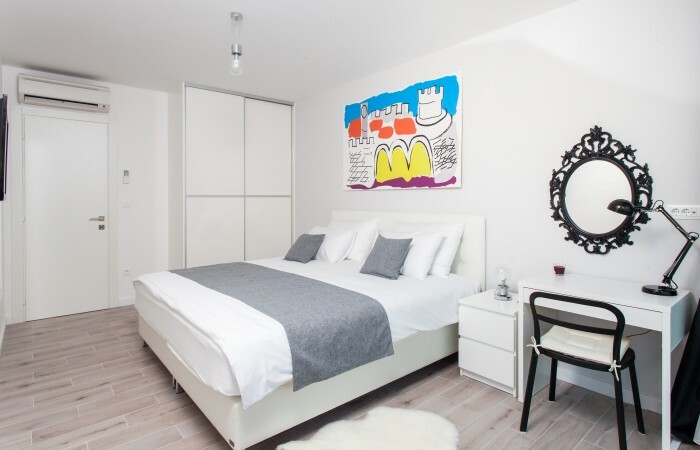 All five bedrooms have ensuite facilities, making this a fantastic house for a group of friends as well as families. 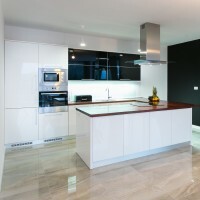 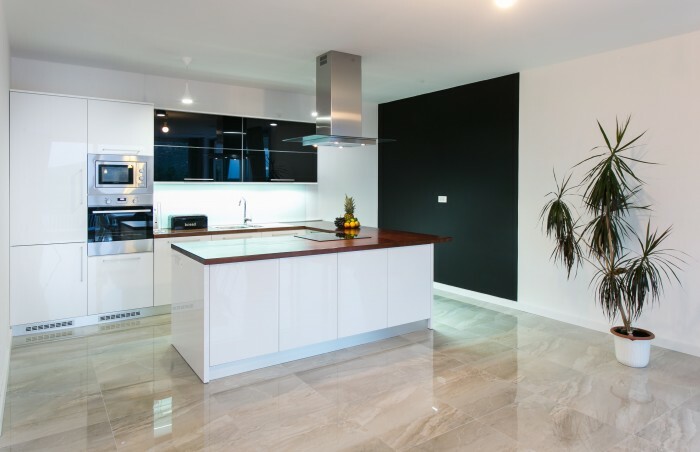 The well equipped open-plan kitchen has everything you need to prepare delicious meals from local ingredients or you may prefer to hire your own private chef for a special evening or part of your stay. 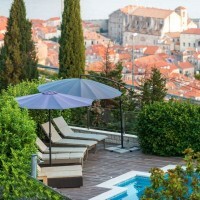 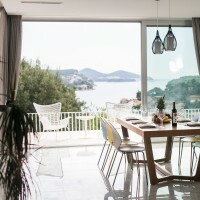 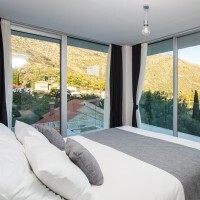 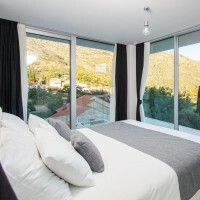 Zaton Bay also has a lovely choice of restaurants within walking distance serving authentic cuisine and local wines or the delights of the food scene in Dubrovnik is an easy taxi ride away for a memorable evening out. 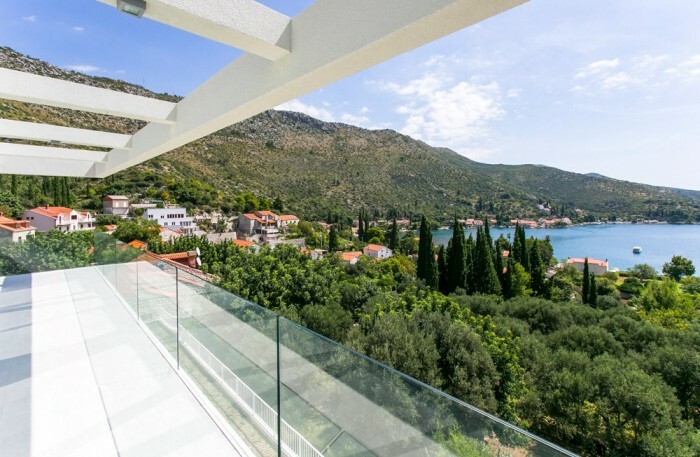 The pretty seaside place of Zaton stretches around a horse shoe bay with a beautiful promenade joining two settlements – Veliki Zaton and Mali Zaton. 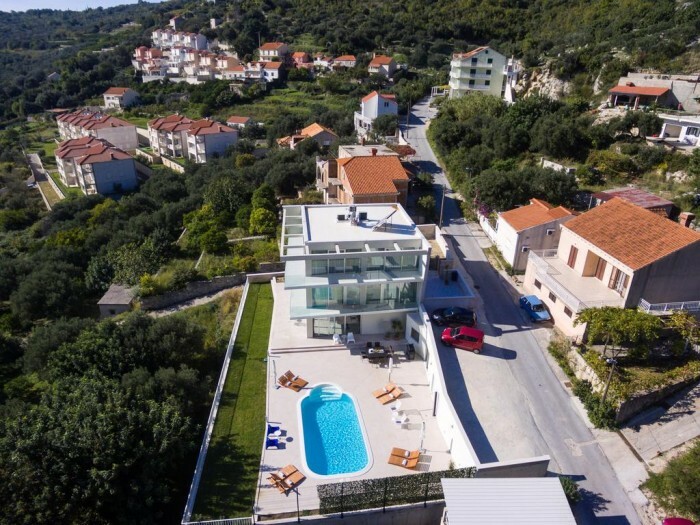 There are little coves and swimming spots dotted around Zaton, backed by shady pinewood, plus some longer beaches within a short walk or drive. 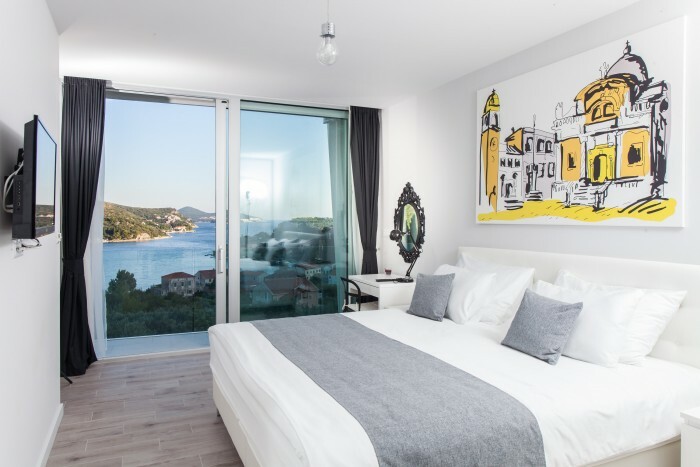 You can walk along the beautiful promenade combing the two areas, stopping in one of the sea-front restaurants, enjoying a glass of local wine and admiring the views. 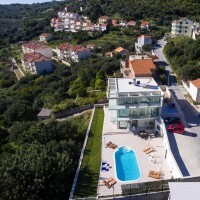 There are little coves and swimming spots dotted around Zaton, backed by shady pinewood, plus some longer beaches within a short walk or drive. 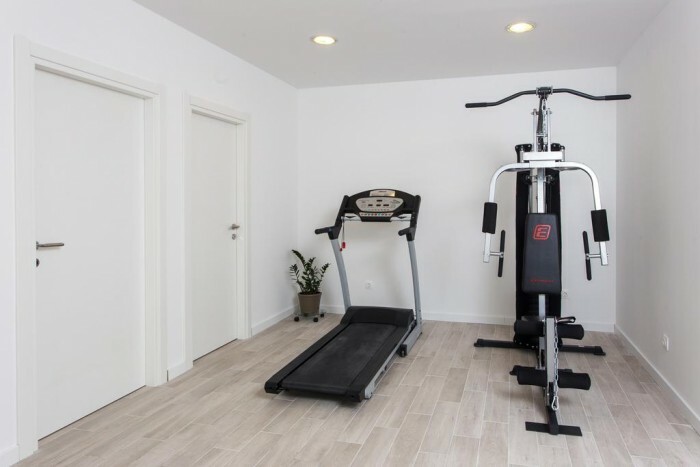 Amenities include: indoor swimming pool, fitness room, parking for 5 cars, air conditioning, floor heating in entire house and pool area, solar panels, satellite TV, wireless Internet, dishwasher, microwave, kettle, coffee maker, washing machine, clothes dryer, safe boxes, Jacuzzi tub, and sauna. 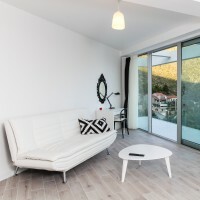 Minimum stay is 7 days.Changeover day is Saturday. 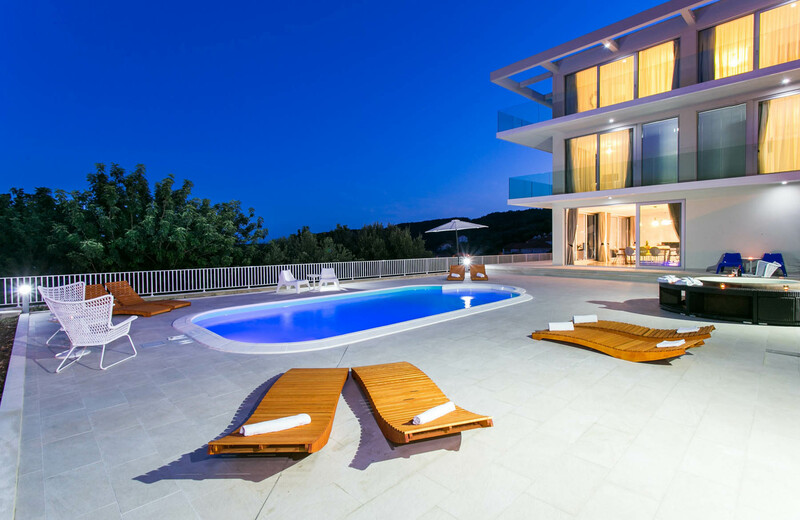 Security refundable deposit of € 1000 is requsted on arrival and will be returned after departure inspection.